This tasty treat is good for on the go, and is even thin enough to break into smaller pieces for training or little treats! These treats are know for cleaning teeth and strengthening your dog's gums. This this generous portion of treats, you can afford to spoil your dog. 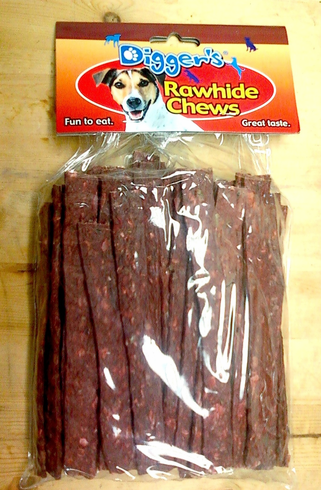 Each package contains fifty 6 inch rawhide strips.